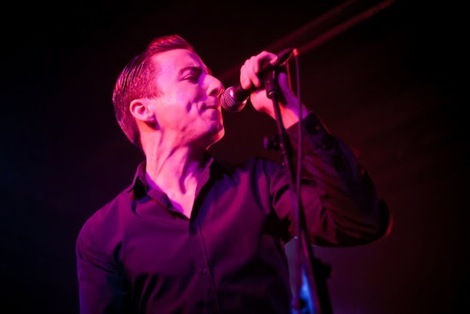 Sharp and with oodles of style, Eugene McGuinness is evolving into a true Liverpool showman, yet Getintothis’ Alan O’Hare says there’s even better still to come. Sunday night gigs are often strange. Bands try too hard, crowds are lethargic following a heavy weekend and the bar shuts early. But music can change all that. You know what I mean: the drummer counts us all in and the communion of a great song gives us the sacrament we’re looking for. 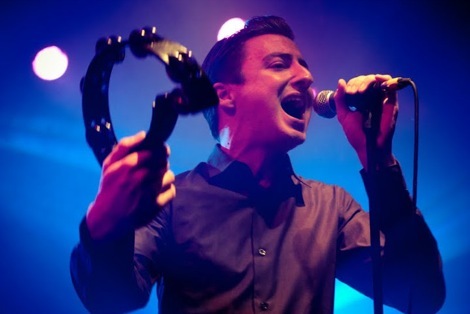 It nearly happened last week at O2 Academy for Eugene McGuinness too. The former LIPA student has all the credentials: cracking haircut, sharp threads, white guitars, cool band, signed to Domino and jerky rhythms. And yet, he’s an ingredient or two shy of the finished article. Sure, the band sound great. Imagine, say, Prince fronting your favourite new wavers. 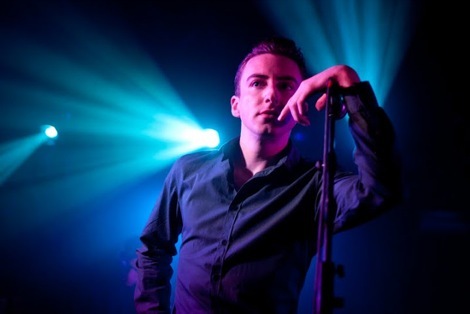 The keyboards are designer retro, the guitar stabs as purposeful as Television and, after a stint as Miles Kane‘s guitarist, McGuinness has settled comfortably back into the role as front man. The singer leads from the front for the first few songs – no guitar, hugging the mic and awkward dancing. So far, so Joy Division. But the music has everything but a truly great tune. There are moments that are ace: the crowd love the singles Lion and Thunderbolt, the band have a groove all of their own and the bottom end bounces all night long. It’s when McGuinness straps on his reverb-drenched electric guitar for a stab at something slower, that we notice it’s not quite top notch. Yet. The signs are good though – the music has the beef and we just want more songs to match the obvious credentials. All the bands and artists McGuinness looks up to (Bowie, Iggy etc) had one thing in common: they don’t care if people like them or not. And every gig was a Saturday night. 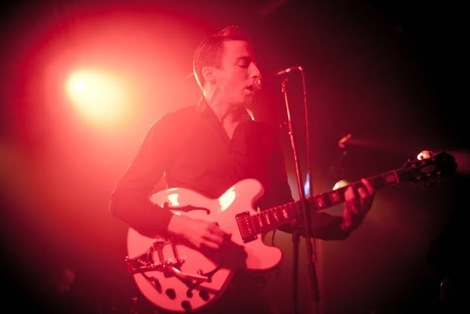 Getintothis talks to Eugene McGuinness on his new record and new-found freedom.